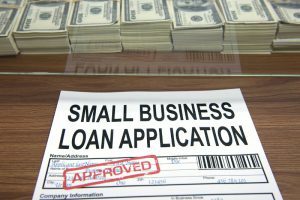 In an article in Wall Street Journal “Bankers are mystified by the sluggish expansion in corporate borrowing” If you are seeking a new business loan, here are some credit tips to help you secure a new business loan for your business. Debt Service Ratio: Perhaps your monthly debt maybe over the lender’s guidelines, even though you are planning to consolidate most of the debt into the new business loan. Check Your Personal Credit before You Pull a New Credit Inquiry with the Lender: You can order a three in one credit report with Equifax and not be penalized for a credit inquiry, since you are not requesting new credit. It is good to check your personal credit before you apply for any type of loan, especially a business loan; you don’t want to build up new credit inquiries on your personal credit report. Make sure your personal credit scores exceed the lender’s underwriting guidelines. Prepare: Plan a refinancing strategy before you apply for a business loan. For example: A past client wanted to consolidate his business debt and refinance his balloon note with his lender. Unfortunately, his current lender did not extend the balloon note and needed an exit strategy fast. At that time, the client’s personal credit was in the high 500s, he was unaware of how low his credit scores were and why one creditor reported him late. He also checked his business credit with Dun and Bradstreet, Experian Business and Equifax Business, two out of the three business credit reports had erroneous reporting. Not only did this client fix his personal credit before he refinanced his business, he also fixed his business credit reports prior to any additional business loan applications. This client succeeded in securing a new business loan which he consolidated his business debt and refinanced his balloon note, which saved his business over $18,000 a month. For more information on how we can help you with business loan, business credit restoration and personal credit restoration in Fort Myers, Bonita Springs, Naples FL and Marco Island, FL please fill out the online contact form about your concerns or give us a call at 855.477-9007. Read what our valued clients have to say about First Pro Capital and Credit Consulting Professionals on our Testimonials page. Can Commercial Hard Money Quickly Help Me? Copyright © 2019 First Pro Capital, Inc.